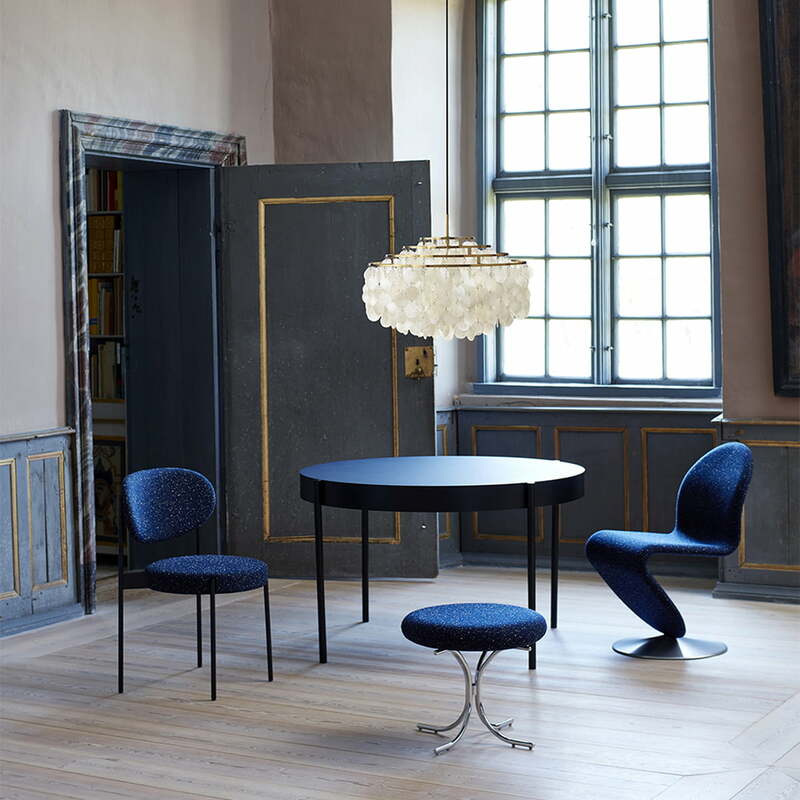 The 430 chair from the series of the same name is a design by the successful designer Verner Panton from 1967. 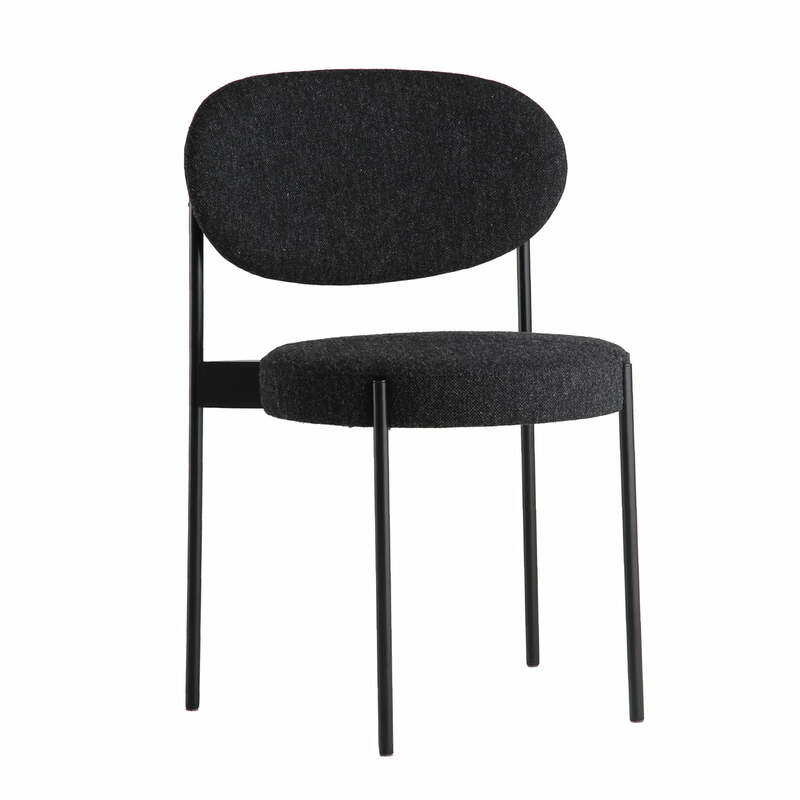 The manufacturer Verpan introduces the hitherto unknown chair into your home, paying tribute to the Danish design icon. 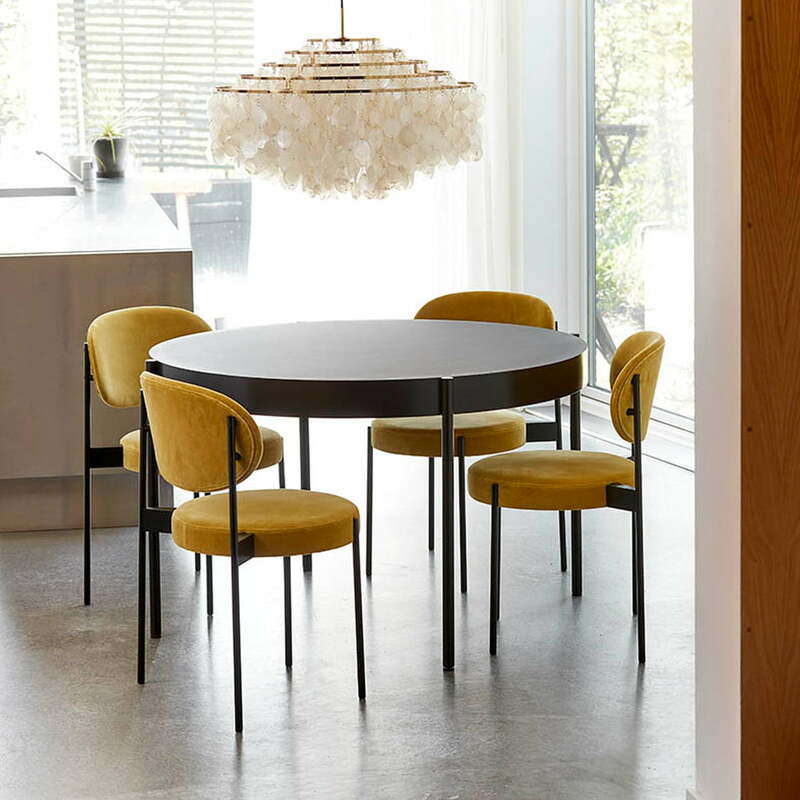 The design language of the chair is a slight change from Panton's usual extravagant style. It stands out, first of all, by the fact that it has four legs which is clearly different from other designs by the designer. His aim was to keep the legs as narrow and elegant as possible, so that they function as a fine detail within the overall appearance. To do this he placed the legs on the outer edge of the seat, making the ends visible. 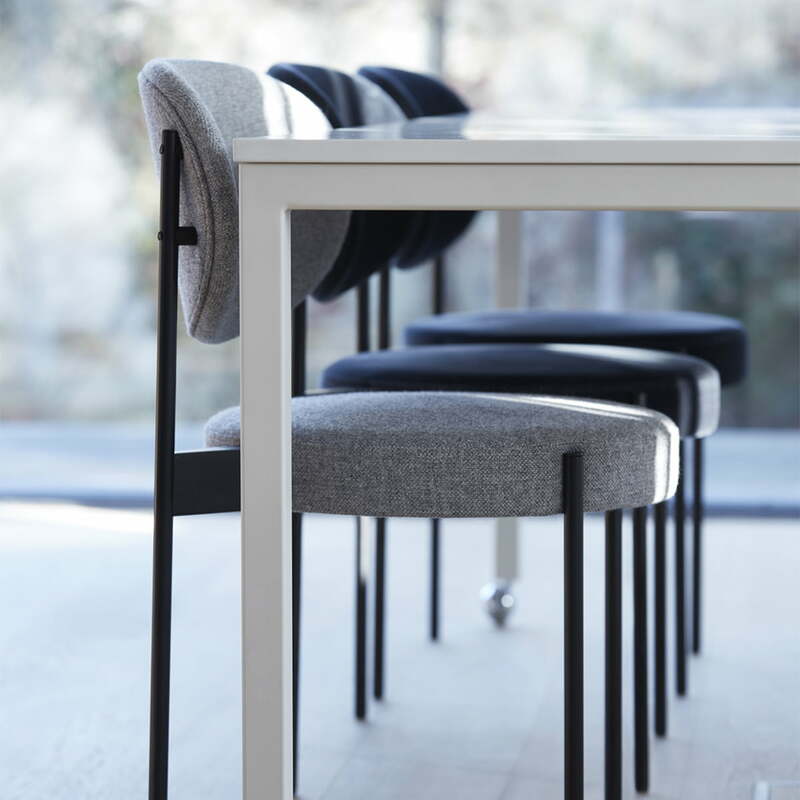 The straight legs are complemented by rounded seat and back cushions, that not only provide a visual contrast, but also make sitting very comfortable. Additionally the chair can be stacked without any problems. 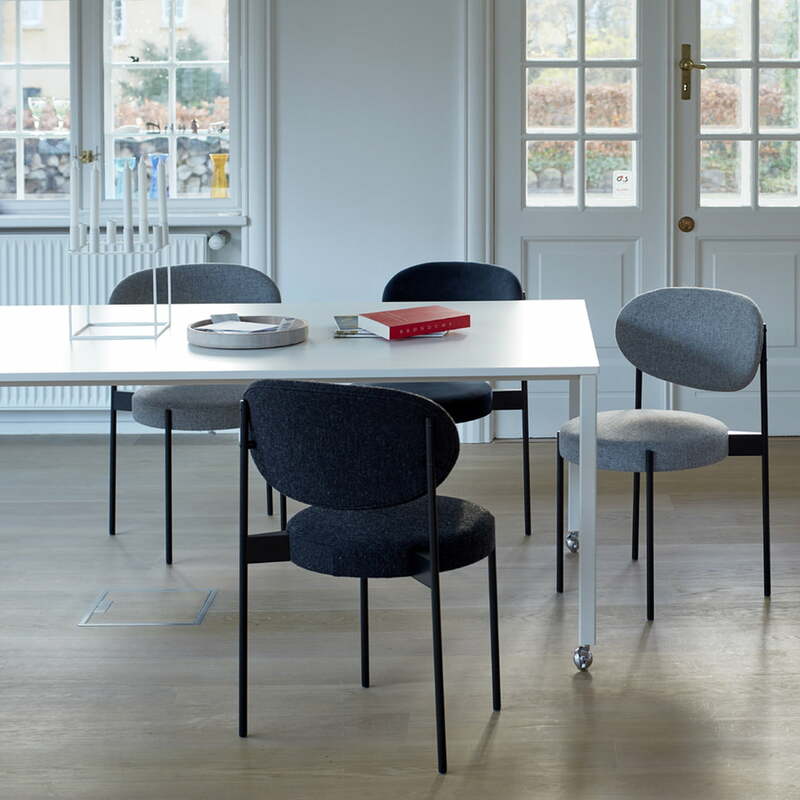 At home, in the hotel lobby or in conference rooms, the simple and elegant 430 chair aesthetically and functionality enhances any space. 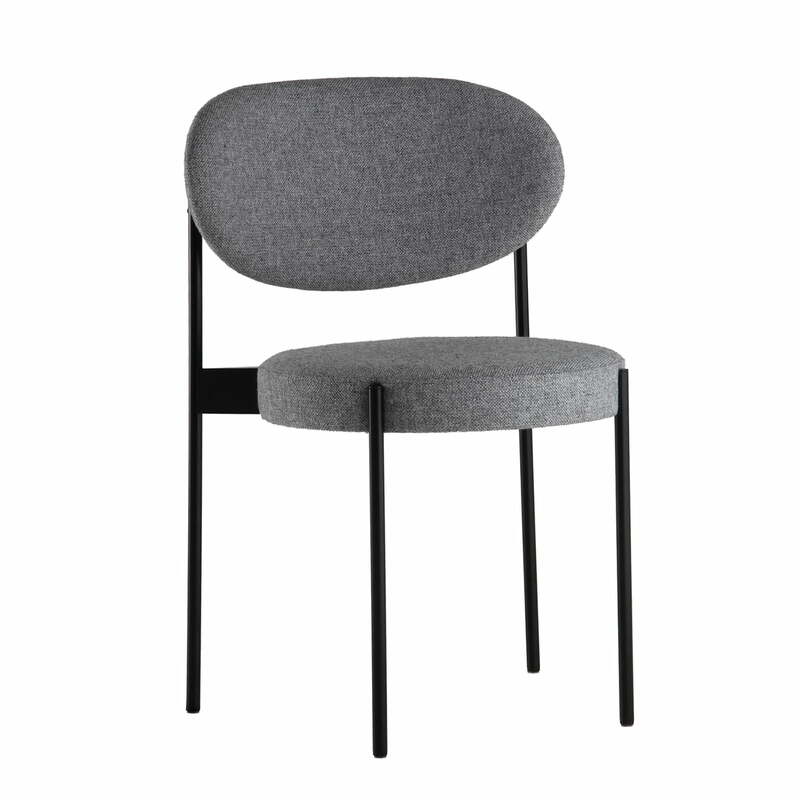 Isolated product image of the Verpan - Chair 430, Hallingdal 65 (180). 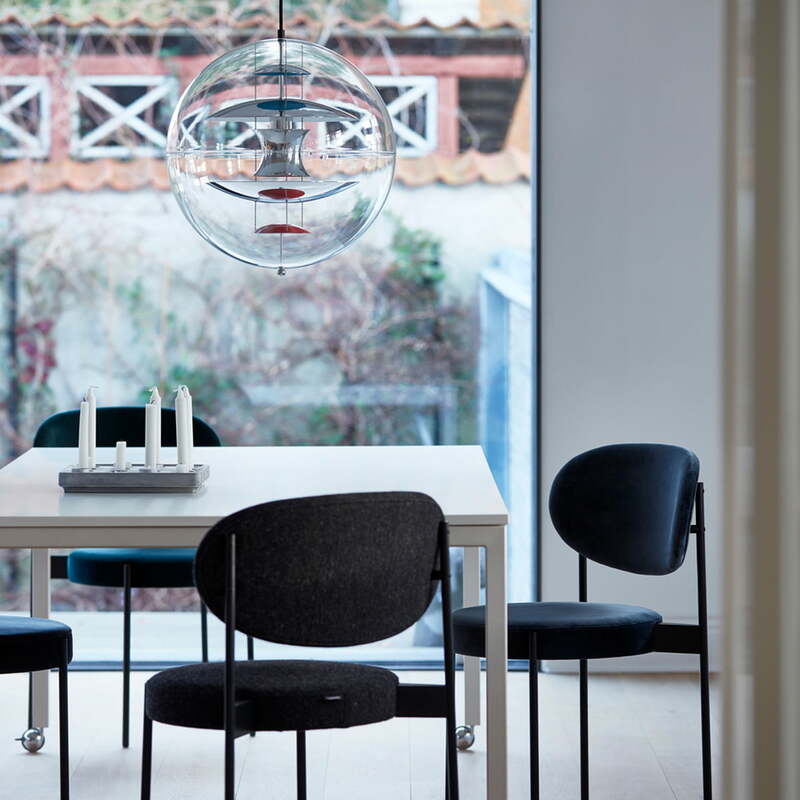 The Chair 430 from the series of the same name is a design by the successful designer Verner Panton from 1965. Isolated product image of the Verpan - Chair 430, Hallingdal 65 (130). Panton's aim was to keep the legs as narrow and elegant as possible, so they function as a fine detail within the overall appearance. 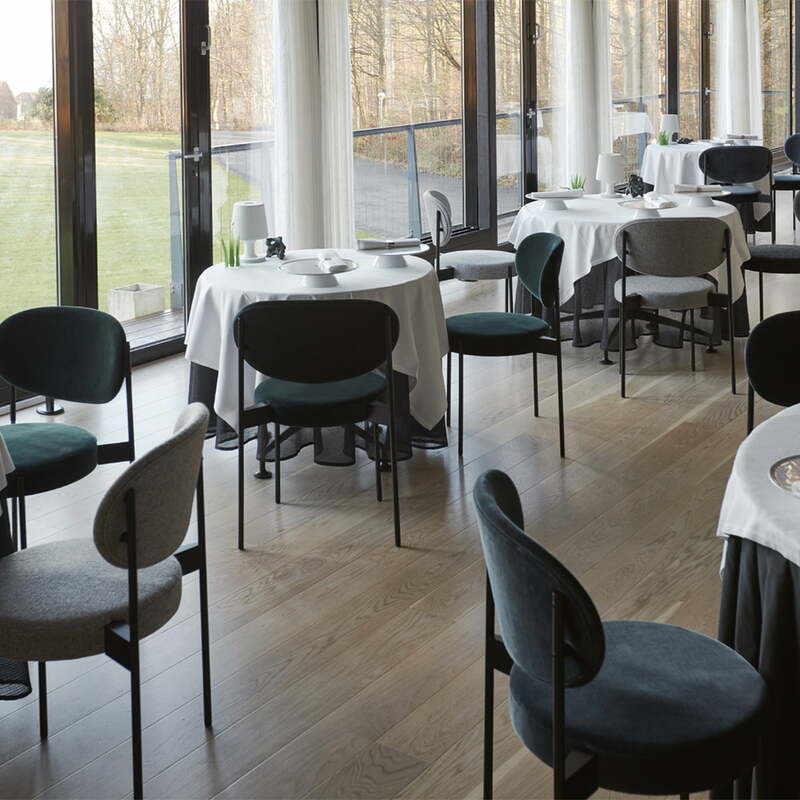 Lifestyle product image of the Verpan Chair and Table 430. The 430 series can be used both at home or in public buildings, including offices and restaurants.